Eco-Drive is designed to convert both natural and artificial light into energy to power watches. 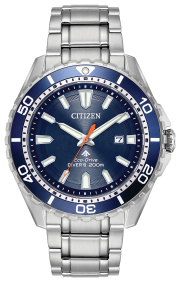 Inventing a technology to ensure a watch that never stops anywhere in the world was one of the challenges for CITIZEN. In 1976, we invented the world’s first light-powered analog quartz watch that runs using only light as a power source. This technology, now known as “Eco-Drive,” can generate power from any light source, artificial, natural and even dim light to keep watches running without ever replacing batteries. As a pioneer of the field, we set new challenges for ourselves to bring forth the full potential of power generation using light. 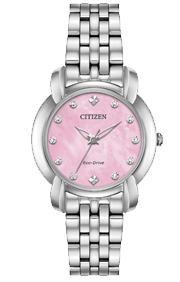 CITIZEN’s Eco-Drive technology has won acclaim in Japan and other countries for its contribution to environmental protection. In 1996, an Eco-Drive watch was nominated as the first watch to qualify for the Eco Mark, a label managed by the Japan Environment Association (JEA). 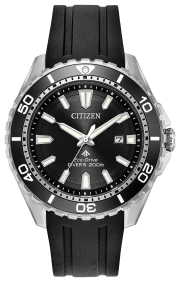 In 2014, CITIZEN became the first watchmaker to earn a Gold Prize in the JEA’s Eco Mark Awards. In an Eco-Drive timepiece energy is stored in a cell within the timepiece and with a power-reserve of at least 6 months these watches will carry on running, even in the dark.